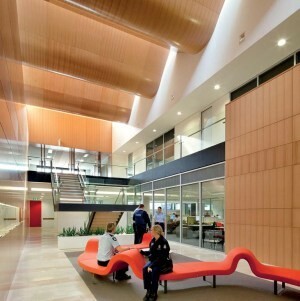 Armstrong is the world's largest manufacturer of acoustic ceilings systems and has been operating in Australia since 1960. We offer a comprehensive array of mineral fibre and metal ceiling panels, with full suspension system options for commercial environments including office, healthcare, education, retail, transport and more. This range is always expanding to accommodate both technical developments and design trends, ensuring Armstrong is at the forefront of innovation. We also pride ourselves on our Eco credentials. Armstrong is a world leader in environmental issues in ceiling manufacture and design. Armstrong ceiling products are listed by Ecospecifier and certified by Global GreenTagCertTM as “eco- and health-preferable” and able to contribute to Green Star™ credit points. Not only are Armstrong ceiling panels produced from high levels of recycled material, they are fully recyclable! Average sound absorption coefficient measured at four frequencies: 250, 500, 1,000, and 2,000 Hz expressed to the nearest integral multiple of 0.05. Rates the ability of a ceiling or wall panel or other construction to absorb sound. NRC is the fraction of sound energy, averaged over all angles of direction and from low to high sound frequencies, that is absorbed and not reflected. 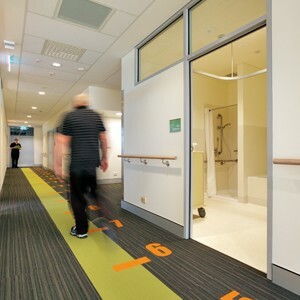 NRC ranges from 0 (concrete floor) to 1.00 (high performance acoustical products like Optra Open Plan). Rates a ceiling's efficiency as a barrier to airborne sound transmission between adjacent closed offices. Shown as a minimum value, previously expressed as CSTC (Ceiling Sound Transmission Class). A single-figure rating derived from the normalized ceiling attenuation values in accordance with classification ASTM E 413, except that the resultant rating shall be designated ceiling attenuation class. (Defined in ASTM E 1414.) An acoustical unit with a high CAC (40) may have a low NRC. What is AC and How do you measure it? Articulation Class or AC is a means of rating the relative acoustical performance of products, such as ceilings, used in open plan office environments. In the open office, the primary source of distracting noise is human speech and a major concern, therefore, is how to prevent intruding speech from distracting coworkers. If there is a general hum or murmer in the space, but no clearly understood words, we can generally "tune this out" as background noise. Speech sounds only become intrusive if the words can be understood. In this type of situation it is difficult not to "listen in" and be distracted (whether you want to listen in or not!). When evaluating the AC performance, sound is generated by a speaker on one side of a 60" high partition. Data is collected on the attenuation of sound (how much quieter it is) on the other side of the partion at frequencies from 100 to 5000 Hz (very low pitch to very high pitch). The noise reduction data is then used to calculate the AC value of the product being tested. In calculating AC, the sound reduction that occurs at higher frequencies (>1000 Hz) are treated as more important than those that occur at low frequencies. Why? AC allows us to evaluate how well a product will absorb the noise generated by people talking. Voices generate sound at a wide range of frequencies; vowel sounds occur at low frequency and consonant sounds occur at higher frequency. Vowel sounds only carry loudness. It is the consonant sounds that are most important in speech comprehension. For example, the consonant sounds are the only difference in the words ball, fall, fawn and malt. If a product can absorb most of the consonant sounds, then you cannot tell what the person in the cubicle across the room is saying into their telephone. Again, if you cannot understand the words, the noise is not as distracting. Ceilings best suited for use in the open office have AC values of 170 or greater. 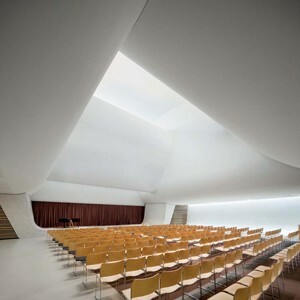 A standard acoustical ceiling (NRC 0.55) will normally have an AC of 150. Non-absorptive materials, such as gypsum board, will have an AC of 120. The highest AC that can be achieved by a ceiling is between 220 and 230. What is the difference between STC, CSTC and CAC? STC - Sound Transmission Class - sound reduction from one side of barrier to the other - walls; single pass rating. CSTC - Ceiling STC - AMA 1-II-1967 Test Method - Two room test, measure of sound that passes through a ceiling across a common plenum and down through ceiling in adjacent (receiving) room; double pass. CAC - Ceiling STC - ASTM E1414 - ASTM test method introduced in 1995; essentially replaced the AMA 1-II test. Will ceilings alone provide me with a 1 hour rating? No, Fire resistance ratings apply to a floor/ceiling or roof/ceiling assembly in its entirety. Individual components such as ceiling panels or suspended grid systems are not assigned fire resistance ratings. 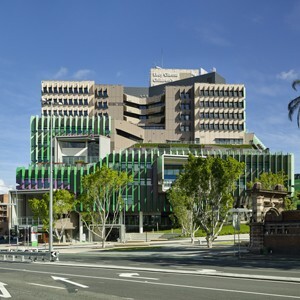 If your architect has not yet determined which UL design should be followed for your specific project, you may have to select a UL Design for code official approval. If so, here is how to select the correct UL fire-rated assembly: Establish the hourly rating needed to meet code requirements. Determine the existing or planned building elements, including structural, mechanical,electrical and finish materials, in the fire-rated assembly. Refer to the Fire Resistive Rating Summary in the back of the Armstrong ceilings catalog to determine which UL design numbers resemble your building. The summary is divided into categories based on construction type and components. Submit the chosen UL design to the code official for approval. Which Armstrong ceilings and grid can I use if a fire-rated assembly is required? Only Armstrong "FireGuard" ceilings and grid can be used in fire-rated assemblies. These products are identified by our FireGuard icon.